With Japan being a group-oriented society it is expected that much pressure be exerted upon everyone to partake in this holiday. (Imagine if you told your church friends that you refused to celebrate Thanksgiving!) 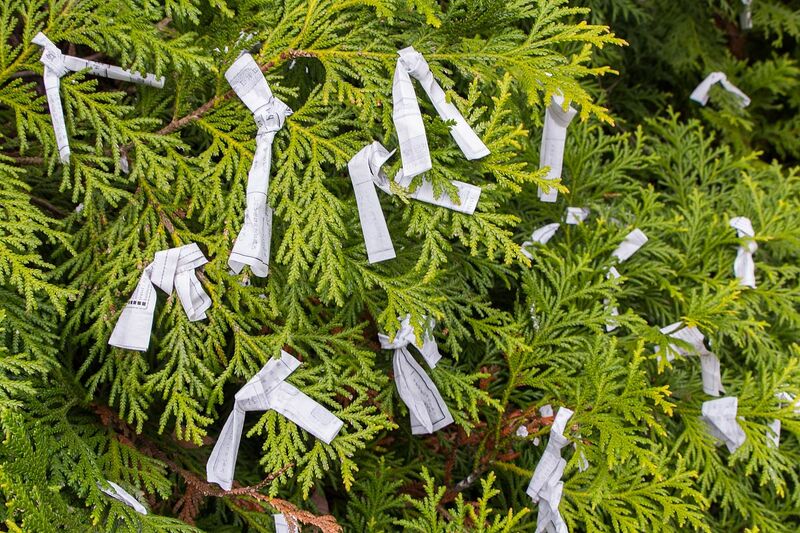 The spiritual climate in Japan during this time can feel quite heavy and ominous over the entire country, which likely has to do with invoking 'spirits'. Some Christians choose to forgo the spiritual elements, refusing to worship dead spirits, but will go and spend time with their families in a “Thanksgiving” like manner. Other Christians are okay with participating in the holiday and think nothing of being involved in pagan practices either out of ignorance, defiance, or 'liberty'. Very few if any churches provide an alternative to help Christians at this time. In the USA often times when Halloween comes many churches will do “Reformation Day”, “All Saints Day”, or “Harvest Festivals”. 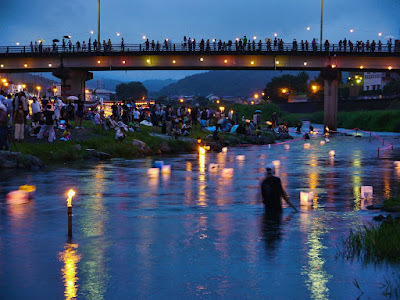 In Japan when Obon arrives there appears to be a time of silence as no one really knows what to do. New Christians likely talk to their pastor to see what their options are or avoid the issue completely. Such is the strength of societal pressures in Japan upon the individual. Personally, in one of my language classes I told a teacher that I am Christian and would not be participating in any Obon festivals in class. This was met with shock followed by the explanation that it is just a fun holiday, but that no one really believes in spirits anymore. Ironically, on the day that I missed out on, they learned the Bon Odori, which is known as the dance to welcome the dead spirits! 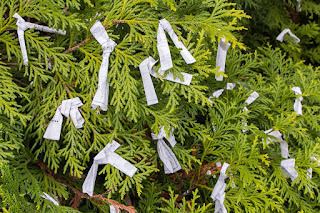 On another class occasion we were to make 'wish' cards which are tied to a tree. Essentially these are 'prayer requests' to certain deities. Again, I was told that it was just a fun tradition, but that they did not really believe it. They then went around the room and had everyone share what their wish was. Of course when they got to me, I didn't say anything for awhile. Then after much prodding, I told them that my wish was that many Japanese people would become Christians! That was met by much reaction! This was quite a pressure-filled experience for me, but was only a small experience of what it is like for Japanese Christians here in this society. Before we jump up and say, “Well I would have told them...!”, I think it is good to pray for our Japanese Christian brethren and realize what it is like in a country that is only one percent Christian! Though the pressures here may be difficult, the good side-effect is that most Christians here are extremely dedicated to their beliefs once they completely understand them. Please pray for Japan as well as Japanese Christians as they face Obon each year!